Wanna hit to Amazon Front Page? We are here to help! Are you ready for this Black Friday? Worrying about your sales rank and excess inventory? Don't fret, we are here to help! There are only 8 Days left to take advantage of our Vipon Black Friday sale! 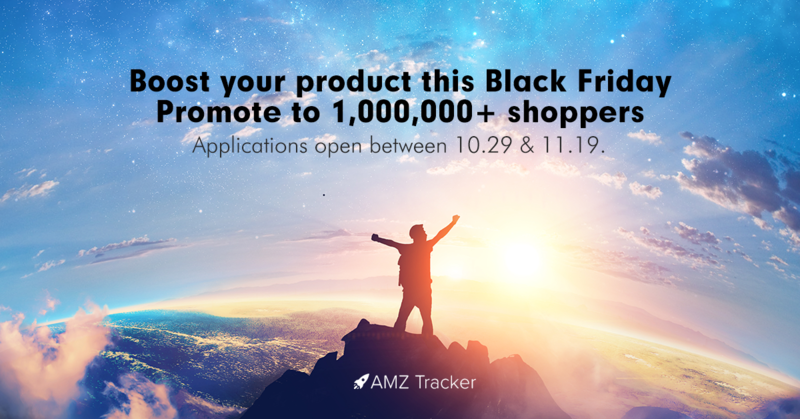 Expose your product to 1,000,000+ deal-hungry shoppers with our greatest promotional campaign yet. Participating products will be given an EXCLUSIVE front page spot in our Black Friday Special section, and Editor's Picks. We will be running competitions and giveaways over the holiday to promote your product and push it to thousands of potential buyers. Giving you the VALUE you deserve. Don't regret missing out on this once-in-a-year opportunity. We are offering existing members a 20% discount when promoting two products, with increasing discount based on the number of products you want to advertise. Contact us at [email protected] for more information on pricing. For more information on our Black Friday campaign, you can click HERE.